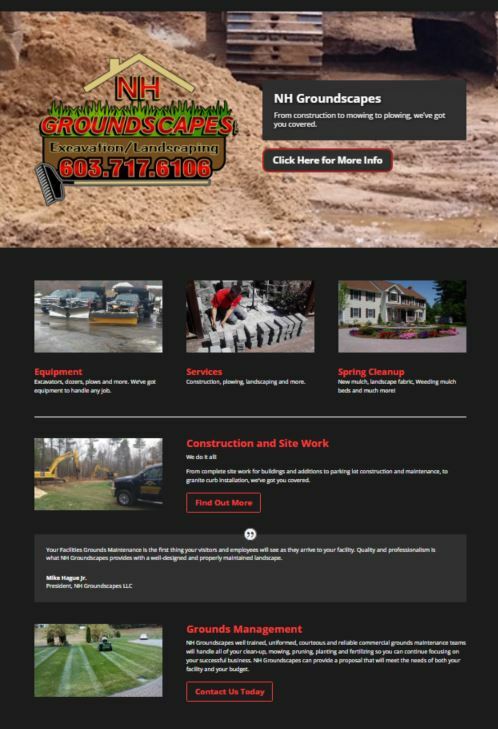 A responsive design WordPress site for this construction and landscaping company. A design style that emphasized the commercial construction assets of this company, but did not overshadow the residential landscape services, was desired. The owner desired and easy interface to update frequent projects and highlight the company’s most recent accomplishments.